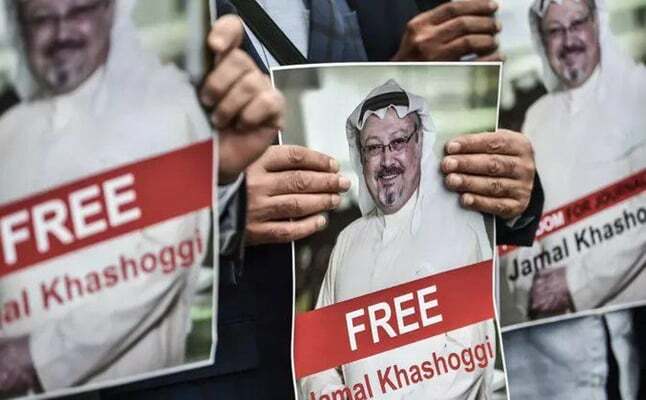 Saudi media have launched a blame game in order to exonerate the Saudi government from accusations of involvement in the disappearance of Saudi journalist Jamal Khashoggi in the Arab kingdom’s consulate in Istanbul, Turkey. According to a report by the London-based pan-Arab newspaper Al Quds Al Arabi, international reactions to the kidnapping of Khashoggi has made Saudi media panicky, prompting them to publish unfounded allegations and accusations. These concerns grew further after Western media’s strong reaction as Khashoggi used to write columns for Washington Post. The baseless accusations by Saudi media target international media outlets or specific individuals, adds Al Quds Al Arabi. For example, adds the report, the highly circulated Al-Riyadh newspaper published a report claiming news released about Khashoggi was directly targeting the Saudi government. The Saudi newspaper claimed that the New York Times had, by releasing a report whose authenticity cannot be confirmed, adopted a hostile policy vis-à-vis Saudi Arabia. Meanwhile, the Saudi newspaper Al Jazeera claimed, in an article, that comments on social media networks with regards to the Khashoggi issue are made via fake accounts with the support of Iran, Qatar and Turkey. The writer of that report expressed dismay over the performance of pro-Saudi media such as Reuters as well as the American newspapers Washington Post and New York Times that those media had reiterated Qatari media’s account of the incident. Also, a Saudi newspaper ran an article accusing Washington Post of submitting to Qatari money. Al Quds Al Arabi further added that the finger has been pointed not only at media, but at certain individuals as well. According to the report, Saudi media, including Al-Arabiya, has launched groundless accusations against Khashoggi, the director of the Association of Turk-Arab Media, without turning the key issue of his disappearance. Accusations have also been levelled against Khashoggi’s fiancée Hatice Cengiz. According to IRNA, Khashoggi has been missing since returning to the Saudi Consulate building in the Turkish city of Istanbul. Some unofficial news sources announced that Khashoggi was tortured and killed at the consulate by agents of the Saudi security apparatus. According to filed evidence and remarks by Saudi Consul General in Istanbul Mohammad al-Otaibi, all evidence and documents showing the presence of Khashoggi at the Saudi consulate, including images of CCTVs at the diplomatic building, have been destroyed by security agents of the Al Saud regime. Following Khashoggi’s disappearance, the Saudi consul general opened the consulate’s doors to Reuters journalists and announced that images of Khashoggi’s entrance into and leaving the building had not been recorded as the CCTVs were not working. 59-year-old Khashoggi left Saudi Arabia for the United States after bin Salman was picked as the Saudi crown prince. In his articles in Washington Post, the dissident Saudi journalist had taken a swipe at Riyadh’s war on Yemen, the economic crisis with Canada and the apprehension of supporters of women’s rights in Saudi Arabia.